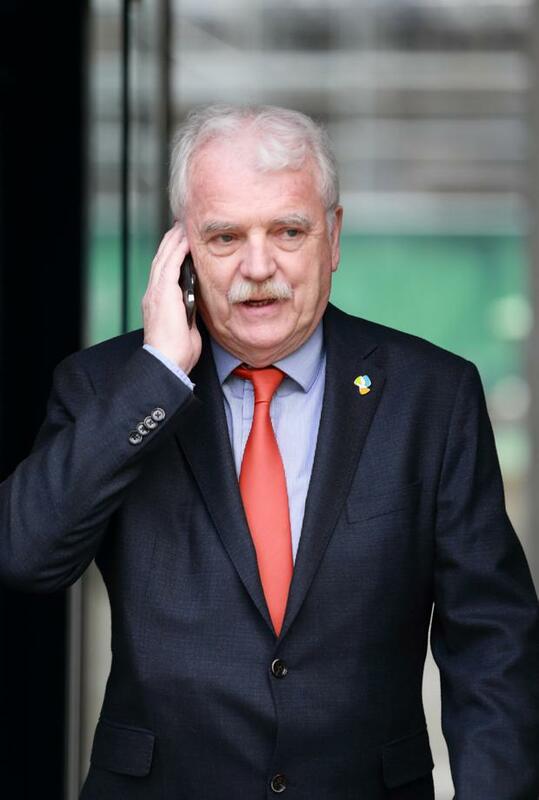 The sheer stupidity and crassness of Finian McGrath’s assertions that gardaí “have become politicised and are carrying out unnecessary roadside breathalyser checks” (‘Coalition crisis over minister’s “disparaging” attack on gardaí,’ Irish Independent, April 1) can only be seen for what it is, populist rhetoric to appease those who think it’s okay to drink and drive. Mr McGrath should remember, before he opens his gob, that he is part of the Government that brought forward legislation to improve road safety and bring down road deaths. For him to suggest that ordinary Garda members on front-line patrol are “over the top” and that it was part of an “agenda” required an immediate apology. It shows how out of touch he and others in the political arena are who think that drink driving is okay, even the morning after. He sounds more like the Healy-Raes with their imbecilic outbursts. Mr McGrath should be reminded that the number of road deaths is below the 200s from 2010, with an average of 140 per year, from the highs of the 600s in the 1970s and 1980s. To have a Government minister allege that gardaí on the front line have some insidious underlying reason for roadside breath tests is bordering on the fantastical. Maybe Finian McGrath and his cohort of sympathisers would like to meet with the families of people who have died as a result of drunk drivers and suggest to them that Garda enforcement is wrong? I would like to bring your attention to the latest homeless figures which Housing, Planning and Local Government Minister Eoghan Murphy referred to this week as disappointing, making it the understatement of the week. This Government has been nothing short of useless in trying to get to grips with the housing crisis. It is time to stop vulture funds buying up large swathes of properties in Ireland in general, and in Dublin in particular. It’s very easy to put in some sort of legislation to put a stop to something that no one is happy about. Then start negotiating with vulture funds who own property here to buy it back from them. I live in the Dublin North Bay. Not far from where I live four sites owned by Dublin City Council were earmarked for development more than three years ago. Hand on heart I can assure you there is not a digger to be seen at any of these sites even though this is an area with a huge amount of households on the social housing lists. Private developers will not solve the housing crisis. More than 50pc of households on the social housing lists are single persons requiring one-bedroom accommodation. I think I can risk a bet here that this is exactly the type of property private developers are not building. This means that one-bedroom properties must be built by local authorities, so just start building them. It seems to me that our Taoiseach and his Cabinet will soon have a very difficult proposition to make to the Irish people regarding the Border. The EU will insist that the frontier on the Irish side be manned by a mobile force made up of mainland European police and customs officers. They in turn will be protected against smuggling, racketeering and serious crime by a battalion of soldiers from Pesco, the European army. The perfect problem reaction syndrome, where the solution will be a lot worse than the original problem. So many columnists and letter writers express exasperation that the UK ‘knows what it does not want but has no idea what it does want’. This is patently misreading the situation. The UK has made it abundantly clear from the outset what it wants and Brexiteers, in particular, have been saying clearly that the UK wants its cake and to eat it too. They want out of the EU and all its appendages but want full access to the trading environment with no freedom of movement/no tariffs/no financial input and no legal oversight. That the EU ‘bureaucrats’ can’t seem to understand this is a complete mystery to Mr Rees-Mogg, Mr Johnson et al. Simples.